Not for meat...anything else maybe ..yes. There's not many options for non meat eaters so it was a really easy to choose something to eat. Stuffed tomatoes and Greek salad were really good. We were offered fruit at the end. Great place. 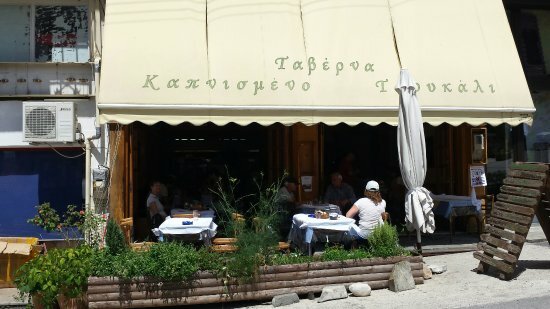 Located at the town hall this restaurant offers big portions of food. 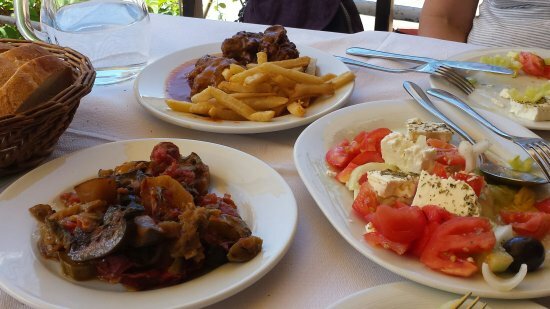 Its advantage is that it also offers dishes other than meat such as traditional Greek home cuisine. Don't expect luxury but a fair meal with quick service. Prices reasonable. Get quick answers from Kapnismeno Tsoukali staff and past visitors.